Super greens are food-based supplements from algae like Spirulina, grain grasses such as Wheat and Barley grass and even certain vegetable extracts like Alfalfa. They are packed full of vital nutrients, antioxidants and unique phytochemicals to boost health and support detoxification. Spirulina, a type of blue-green algae, is the original Superfood and a nutritional powerhouse. It has a long history of use as food and is a rich source of protein (approximately 60-65% of it’s dry weight), B vitamins (including B12), amino acids, iron, essential fatty acids and other minerals, making it an ideal supplement for vegetarians and vegans. The health benefits of Spirulina range far and wide and include immune boosting properties, anti-inflammatory actions and anti-allergic effects. Spirulina has also been found to improve cardiovascular health and encourages the growth of good bacteria in the digestive system, which assists detoxification and helps to fight infectious organisms in the gut! 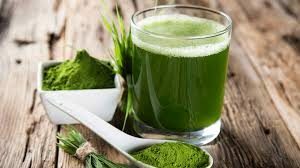 Chlorella, a water grown, single-celled micro-algae which is very rich in chlorophyll (the green pigment in plants), is a great detoxification aid. Chlorella and chlorophyll can tightly bind to, and interfere with the absorption of certain chemicals and heavy metals such as mercury, lead and cadmium from the gut, thereby reducing the amount of toxic substances that reach other tissues throughout the body. In addition to chlorophyll, Chlorella is rich in nutrients including B-vitamins, vitamin C, beta-carotene and trace minerals. Other health benefits of Chlorella include alkalising the body, acting as an ‘internal deodorant’, cleansing the blood and boosting blood oxygenation. Interestingly, the only difference in the molecular structure of chlorophyll and human blood is that the centre element of our blood cells is iron, while chlorophyll’s is magnesium. This similarity makes Chlorophyll a wonderfully effective blood tonic for humans! It is important that any Chlorella supplement you take is organic and has cracked-cell walls so that it can be properly digested and absorbed. Wheat grass refers to the young shoots of wheat harvested before stalks with wheat grain develop. It has powerful anti-oxidant, anti-inflammatory and alkalising properties when consumed as a supplement. Like the other super greens, Wheat Grass provides many essential vitamins, minerals, trace elements, enzymes, fibre and special nutrients like chlorophyll to promote detoxification and optimal health. It also contains the unique antioxidant, super oxide dismutase (SOD), which boosts the body’s first line of defence against free radicals (pro-oxidants), acting right at the source of free radical production and quenching them as they are generated within cell mitochondria’s. 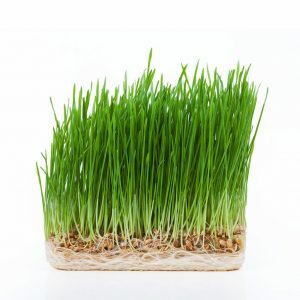 Wheat grass is particularly useful for digestive health as it supports the growth of healthy intestinal flora, encourages regular bowel movements and helps to maintain a healthy colon and bowel. Barley grass powder is made from the dried young leaves of the barley plant and is the major alkalising Super green. It is perfect for people with inflammatory conditions ranging from arthritis to stomach ulcers and acne. Over acidity and inflammation are common ailments in modern society due to the acid-forming nature of Western diets and lifestyles. Barley grass helps to maintain a healthy alkaline/acid balance in the body as it is full of natural ionic minerals that buffer acidity in the blood stream. Barley grass is also an easily absorbable ‘natural multivitamin’ containing the major 18 vitamins, 20 minerals and 8 basic proteins required for proper body function. Broccolli sprouts are broccoli plants that are 3-4 days old. 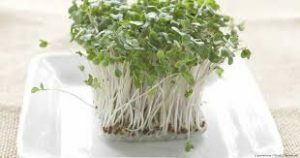 The reason broccoli sprouts are taken as supplements is because they contain particularly high levels of Sulforaphane, a phytochemical found in cruciferous vegetables. Sulfurophane has powerful effects on detoxification, specifically phase 2 liver detoxification, as it induces enzymes such as glutathione S-transferases and glucuronosyltransferases to assist with modification and elimination of highly toxic substances from the body. Sulfurophane also assists in the protection of cells against cancer-causing substances (carcinogens). Broccoli sprouts contain 10-100 times higher concentrations of glucoraphanin (a sulforaphane precursor) than mature broccoli plants, so while eating broccoli is a great dietary choice, broccoli sprouts are the things that really pack a detoxifying punch! Although they may not sound terribly appetising, Super green supplements can be made into delicious smoothies as part of a detox program or added to some fresh vegetable juice (eg. 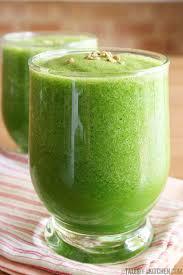 celery, cucumber, ginger, lemon, apple) for gentle and ongoing body cleansing. Of course, you can also have Super greens by themselves in some filtered water or get creative and make some raw-green treats! Skin and chop up fruit, and rinse spinach. Add to blender with the rest of the ingredients and blend until smooth. Serve and enjoy the green goodness!